What does fresh rain smell like to you? 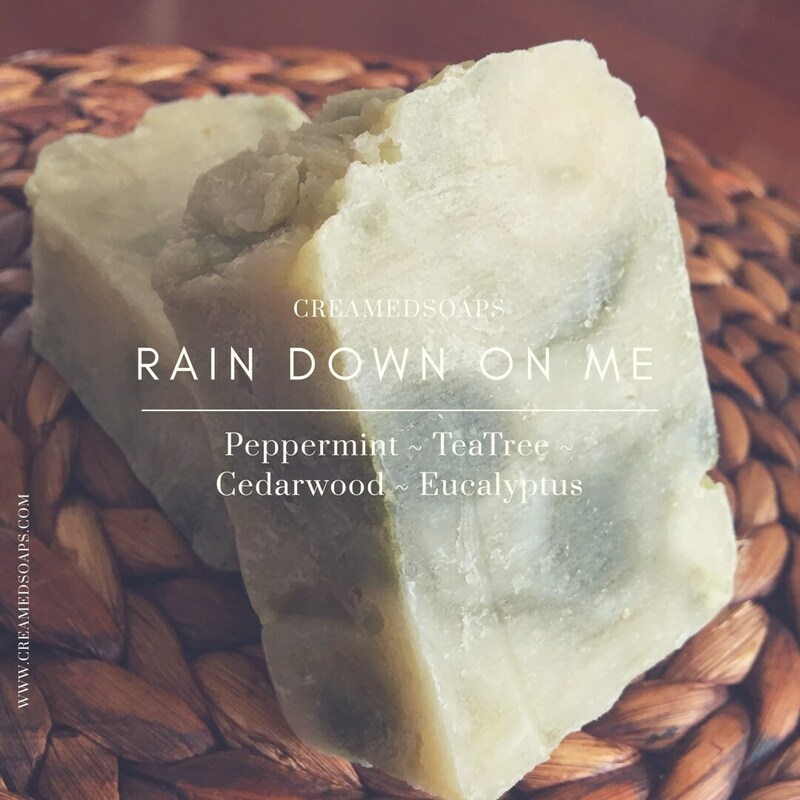 If CreamedSoaps were to use an essential oil blend we would say "Rain Down On Me". It is the perfect mint blend, not too simple nor too complex with notes of Peppermint, Eucalyptus, Cedarwood & Teatree. How did we color it? This bar has been naturally colored with Ground Nettle Leaf powder. Organic Coconut Oil, Organic Extra Virgin Olive Oil, Organic Sustainable Palm Oil, Organic Raw Shea Butter and Avocado Oil.